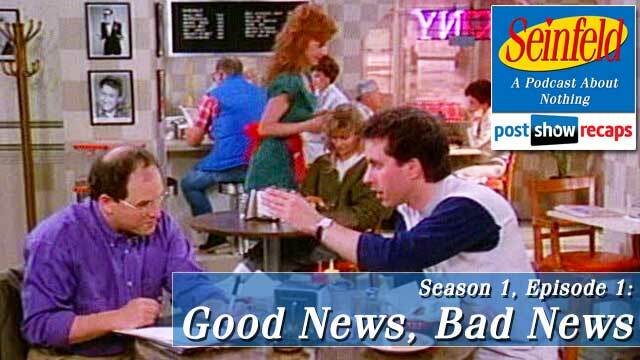 25 Years after the original premiere of Seinfeld in the summer of 1989, Rob Cesternino and Akiva Wienerkur have decided that it’s time to go back to podcast about nothing. What are the key differences between this original pilot and the future episodes of Seinfeld to come? What do Rob and Akiva think of the female waitress that is in the Elaine role in the pilot played by Lee Garlington? Why is George so concerned with drinking decaf? What are some of the major differences in George and Kramer Kessler’s character? Why is the woman that Jerry is trying to date potentially the worst person in the entire world? How is the stand-up comedy integrated in to the episode differently than the ways it was used in the future episodes? What are the things that are different about Jerry’s apartment? What piece of advice does George give that he will be able to use several seasons down the line in the series? How does Rob utilize Jerry’s laundry advice about “once you’re wet, you’re wet” in his real life? Let us know if you’re excited for a Seinfeld podcast here on Post Show Recaps. This is the first recap podcast we’ve done for a non-current show and we want to make sure this is something you want on this site and on the Post Show Recaps podcast. We’d love to hear your thoughts in the comments below. Look for the Seinfeld Recap ONLY podcast feed to make it’s debut on iTunes sometime later this week.